“When I read a necessary poem (which is different from just a good poem), it shakes me, even changes me a little, and deepens my understanding of the world,” Zeina Hashem Beck, Lebanese poet, said in an interview with Al Jazeera. 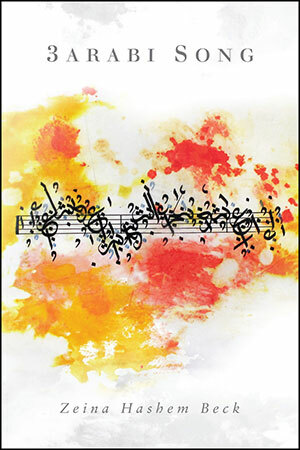 Her chapbook 3arabi Song, which won the 2016 Rattle Chapbook Prize, is an homage to the Arab world, a refrain that threads together loss and compassion. Hashem Beck, who grew up in Tripoli, writes of her exposure to Arabic singers from a young age and of her parents who would sing every day. As she says in a video interview for Epicenter, she’s chosen to write 3arabi Song in English, yet her subject matter is steeped in her own Arab experience: her parents, street life, political turmoil, and music. An exaltation and exploration of culture, this chapbook is a compelling coexistence of language, violence, grief, and a search for personal and political peace. Hashem Beck is not new on the poetry scene. Already nominated for a Pushcart Prize and the Forward Prize, the Dubai-based poet has published a first collection, To Live in Autumn, and her other chapbook, There Was and How Much There Was, is a smith doorstop laureate’s choice, selected by CarolAnn Duffy. they listened to Remi Bandali. As the little girl sang about salaam . . . The media’s never-ending coverage of violence can be numbing, often burying what really connects us. Beck’s poetry reminds us of that necessary intimacy, while humble and informative, despite the devastation of our wars, the desperation of our love, the loss of our torn countries. with always “ya baladi” at the tip of her tongue. References are also provided as cultural insight for religious words used. Hashem Beck explains in her notes that hijra for example, means migration in Arabic. Although this would be used in the Islamic context to refer to the prophet Mohamad’s journey to Medina, Hashem Beck alsouses it to bring our attention to the Christians and Yazidis who, in fear of being killed by ISIS, fled Iraq in 2014. “Fi Marlboro, fi Viceroy, fi Gitanes,” they said. everyone. Let’s heal a little. 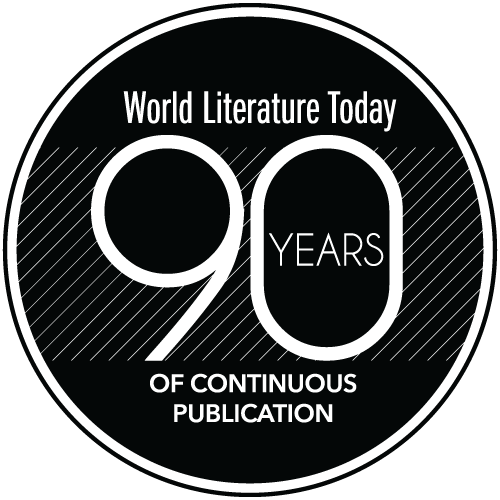 Editorial note: Three new poems by Hashem Beck appear in the November 2016 issue of World Literature Today. Stephanie Papa is a poet and translator living in Paris, France. 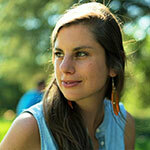 She is the poetry co-editor of Paris Lit Up literary magazine and holds an MFA in poetry from the Pan-European program. Her work has been published in World Literature Today, Niche, NOON, great weather for media, Four Chambers Press, and more.